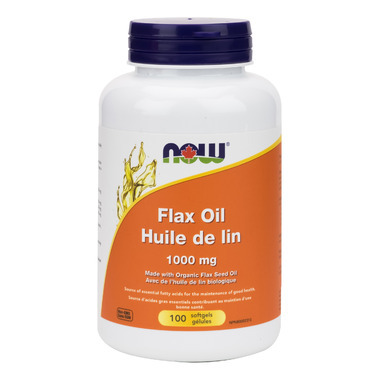 Flax Oil is a natural reservoir for the omega-3 fatty acid, Alpha-Linolenic Acid (ALA). ALA is considered an essential fatty acid, because the body cannot make it from other fats and must obtain it from the diet. Flax Oil has been shown to support and maintain good health through support of the cardiovascular system. Great product. Has made a difference lowering my high cholesterol. So far so good. Seeing as I don't eat fish at all, this is a decent replacement for my essential fatty acids. And omegas. I started with taking it 2 times a week for the first two weeks then once a day. Trick is to keep the pills in the fridge. There will be no "aftertaste." I recommend this product. I cannot take fish oil so appreciate getting my omega 3 through flax seed oil. This is a good quality product free of nasty additives and I have no problems with after burps like I get with fish oil. I'm happy with the product but for some reason it makes me burp and when I do, I can actually taste the flaxseed oil in the burp. It's not an offensive taste but it's not like the taste you enjoy from eating foods that you like. The burp eventually subsides though. East to swallow, have not had any reaction to it whatsoever and with my body type, is something isn't agreeable then it reacts almost instantly. the capsule is very dark it looks black. it is a large size and it does not have a distinctive taste.